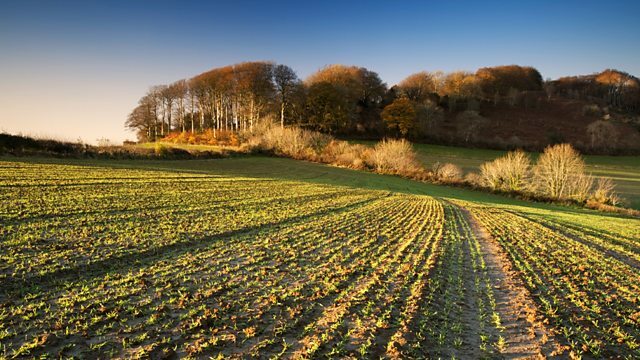 BBC Radio 4 - Farming Today, Dairy Crest acquisition; UK sheep farming; weighing cattle. The UK milk processor Dairy Crest has announced it's being acquired by a Canadian company, in a move it says will be "good news" for the 330 farmers who supply its milk. Last week, the firm confirmed it was being bought by Montreal-based Saputo, one of the biggest dairy processors in the world - in a deal worth just under £1 billion. Caz Graham finds out what this means for the company's farmers and its future, speaking to Dairy Crest's CEO Mark Allen. Sheep farmers have been making headlines for all sorts of reasons over the past year: from debates on re-wilding, to concerns about whether there's a viable future for sheep farming in the UK post-Brexit. But many of those farmers have a few other things on their minds at the moment, with spring lambing about to get underway. All this week, Farming Today is focusing on sheep: from rare breeds to trade opportunities. Caz Graham gets the ball rolling by speaking to the National Sheep Association's chief executive, Phil Stocker. Weighing beef animals can be a trying practise for farmers, as it takes up a lot of time and can cause the cattle a great deal of stress. As such, some farmers don't bother weighing the herd before sending them to slaughter. But that comes at a cost. Statistics from SRUC, Scotland's Rural College, show that in 2016 nearly half of cattle in the UK didn't meet the required conformation and fat standards demanded by abattoirs and retailers. Now, there's a possible solution on trial: a device called a 'Beef Monitor Crate', combining a water trough with weighing scales... Nancy Nicolson's been to see it in action.